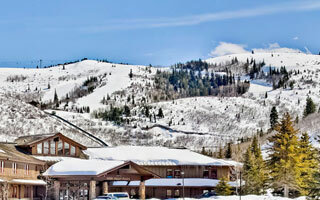 This six bedroom home is located in the Silver Lake Village area, mid-mountain at Deer Valley Resort. The home features a fully equipped kitchen, media room, private outdoor hot tub, private garage, stone fireplaces, vaulted ceilings and wood floors. The Signature Collection's complimentary in-town transportation, provided by Cadillac, is offered during the ski season. Home is located in the Silver Lake area of Deer Valley Resort and features vaulted ceilings, fully equipped kitchen, stone fireplaces, media room, private hot tub, private garage and wood floors.